Pregnancy is a time of constant and exciting change in a woman’s physiology and overall life as her body prepares for the athletic event of birth. It is important for expecting moms to assemble a birth team to help guide them through these changes and optimize their experience. 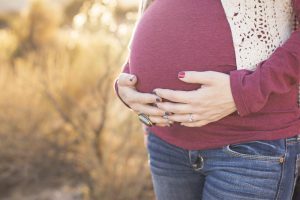 In addition to choosing their birth provider, doula, lactation consultant and birth preparation classes, many women are realizing the importance of prenatal chiropractic care. Prenatal chiropractic care addresses the neuro-biomechanics of your pregnancy, which is essential for your body to be able to organically adapt to the physical and functional changes during every stage of this beautiful and natural process. Balance the body and soft tissues of the pelvis, preparing your pelvis for an easier birth. Align your pelvis to ensure that it is moving properly. Reduce torsion and tension on the uterus and its supporting ligaments. Allow for the pelvis to open wider during birth. Your nervous system controls the function of every cell in your body, including your uterus and pelvic muscles – the main muscles of labor. Chiropractic care during pregnancy can also benefit your baby. The nervous system is the first system that forms in your baby during the 3rd week after conception. Since your nervous system communicates with your baby’s nervous system, proper function can contribute to better development. Balancing your pelvis also allows your baby the chance to have the most room to develop without physical restrictions to the growth of their cranium, spine and other skeletal structures. Also, this can help the baby move into the best possible birth position when it is their time to arrive. All of these factors can contribute to a more natural birth as well as a significant decrease in dystocia and birth trauma caused by interventions. Chiropractic care can help make your pregnancy and birth experience healthier and more enjoyable while helping to minimize the risk. No wonder millions of women include chiropractors as a vital member of their birth team.